History and Anecdotal Information: Rosehips are the edible and nutritious fruit of the rosebush, a garden favorite as far back as 2600 b.c. during the time of the ancient Sumerians. This beneficial beauty was named "Queen of Flowers" by the Greek poet Sappho, writing in 600 B.C. When roses die, and are left on the bush, they leave behind A bright reddish-orange, spherical fruit. The tiny edible packs a powerful medicinal punch. All roses produce Rosehips, but certain varieties such as Rosa Rugose and Rosa Canina are better at the job. Chemical Composition: Rosehip Seed oil contains vitamins C and A. It also contains oleic, palmitic, linoleic and gamma linolenic acids. Rosehip oil is also a good source of the obscure Vitamin F, a Fatty Acid made of Linoleic and Alpha-Linoleic Acid. Rosehip Seed oil, light-amber in color, is a “dry” oil because it’s easily absorbed into the skin, and leaves no greasy residue. Due to its delicate nature and the cold pressed method of extraction, it should be kept refrigerated. Never use any form of Rosehips grown with synthetic pesticides or herbicides. General Benefits: Used as a tonic or food supplement, these compact, nutritious hips assist the body's defense against colds and flu, catarrh, sore throat, and chest infections. 6-8 fresh raw rose hips taken daily, help prevent many illnesses. Rose hip tea helps re-establish beneficial bacteria in the digestive system, and is especially useful following a course of antibiotics. 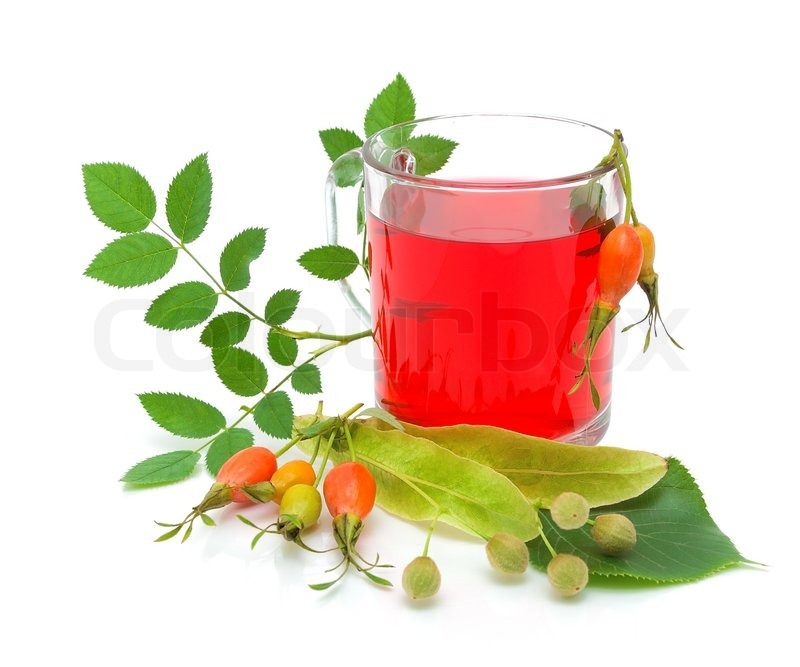 Rose hip tea also soothes the nervous system and relieves fatigue. Rosemira Gorgeous Gold Stem Cell Serum contains Rosehip Seed Oil & Pulp. Here's what a client had to say about it:Ugly wrinkles around my mouth are diminishing already! And even better? My crepe like skin on my neck is firming up. I've heard these claims with other products, but haven't actually seen it happen to me before. This stuff does work! I use 4-5 drops on my neck and face. I have fair skin and was a little shocked to see the orange glow tint to my skin after application, but like the instructions said, the glow does go away as the oil absorbs into your skin. Because of the glow I choose to use this before going to bed." Rosemira's Skin Lullaby Anti-Wrinkle Serum also contains Rosehip Seed Oil. Here is a happy client's review: "After a few years of trying natural products on my face, and resigning myself to coconut oil, I stumbled upon Rosemira products. This particular product I chose since my skin was in need of deep hydration and repair. My skin has suffered through many winters in the Midwest, and I needed some serious help. This serum has definitely healed and made my skin supple again. When I put it on it leaves a slight glow, which eventually fades, but I do enjoy. I would highly recommend this product!" Divine Honey Rose Replenishing Cream contains Rosehip Seed Oil. A happy customer wrote: I have sensitive skin with mild rosacea. I am so thankful I didn't react to this marvelous cream! I use it following the Hydrating Rose Toner. Together, they leave my face feeling dewy and healthy. This is a wonderful line, and the Rose products have given my skin what it needs to look less flushed!